Hi all! 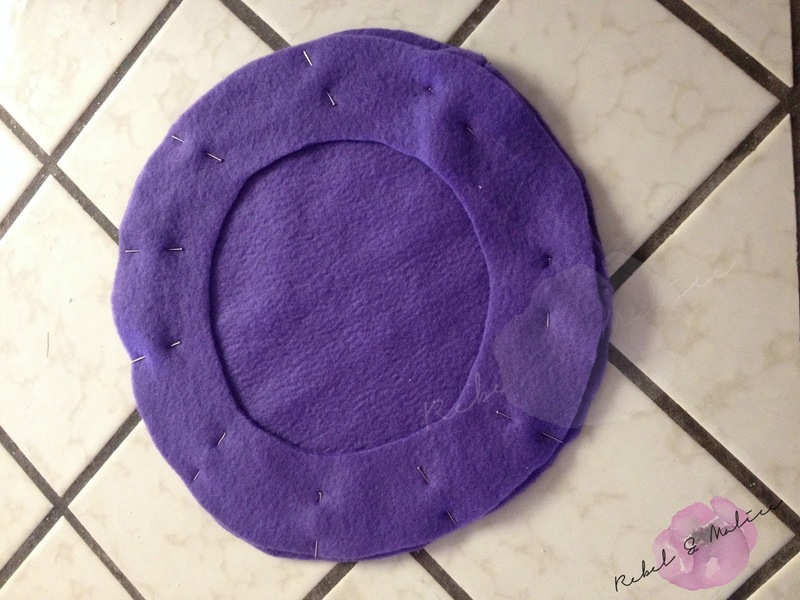 I have Melissa from Rebel & Malice on the blog today sharing a tutorial (and pattern!) 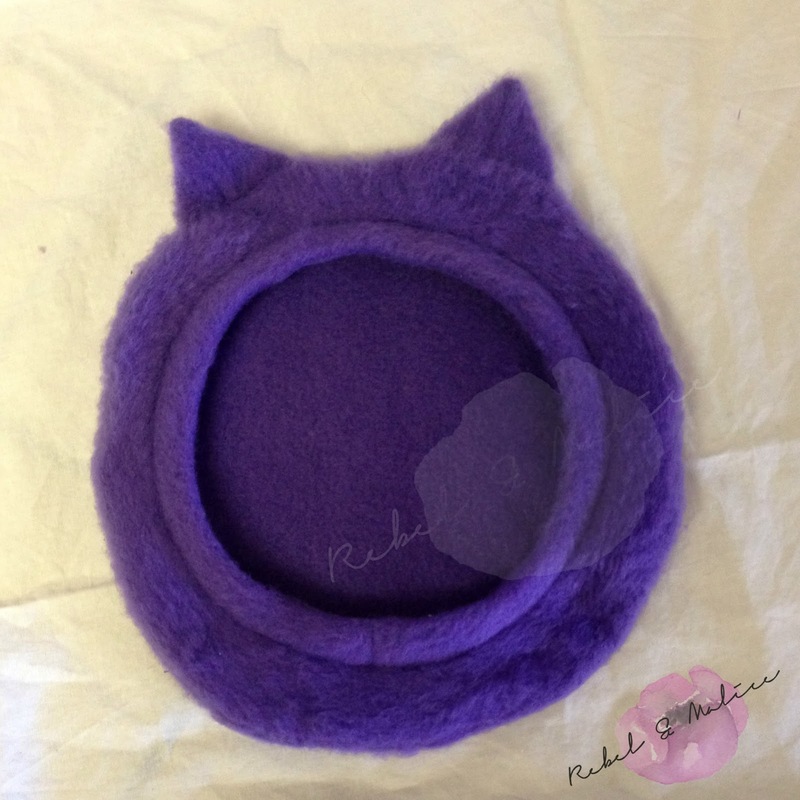 to make a cute cat ear beret. I love cats! 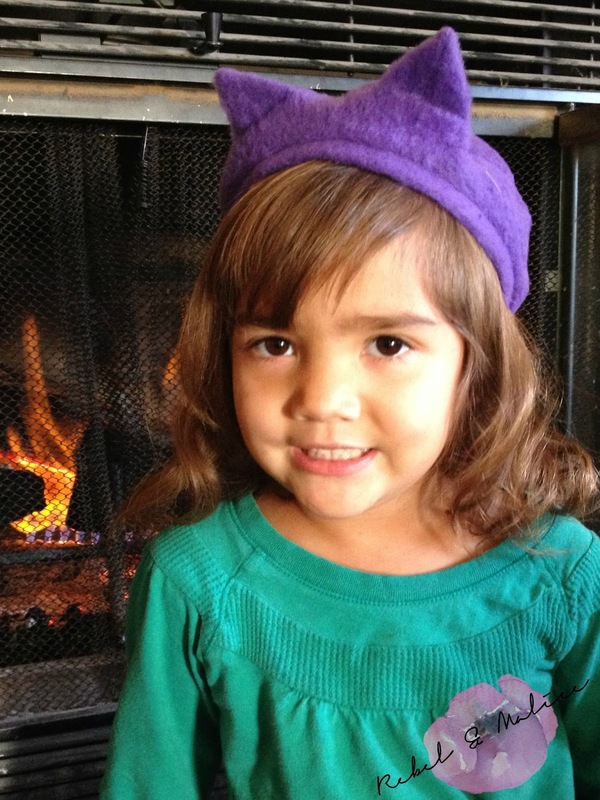 And ears on hats for kids, so cute! Read the interview I did with Melissa if you want to find out more about her and then check out the tutorial below. Happy sewing! Disclaimer: This post includes affiliate links. All affiliate links are marked with an *. See my Disclaimer-Legal Info tab for more info on affiliate links. Hello. I’m here to bring you a fun tutorial and pattern for the cat lover, or just animal lover in your life. My little girls are obsessed with Paris and France and anything remotely related to all the pretty things. How non-typical, right? 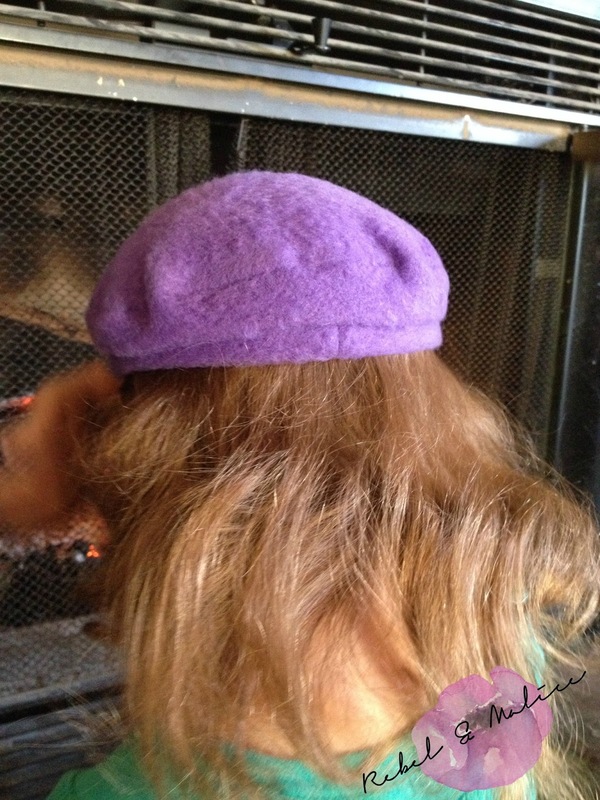 I love berets for all ages, in fact my favorite prized winter hat is a fuchsia cashmere beret. It is the best and one of the few things I own in pink. 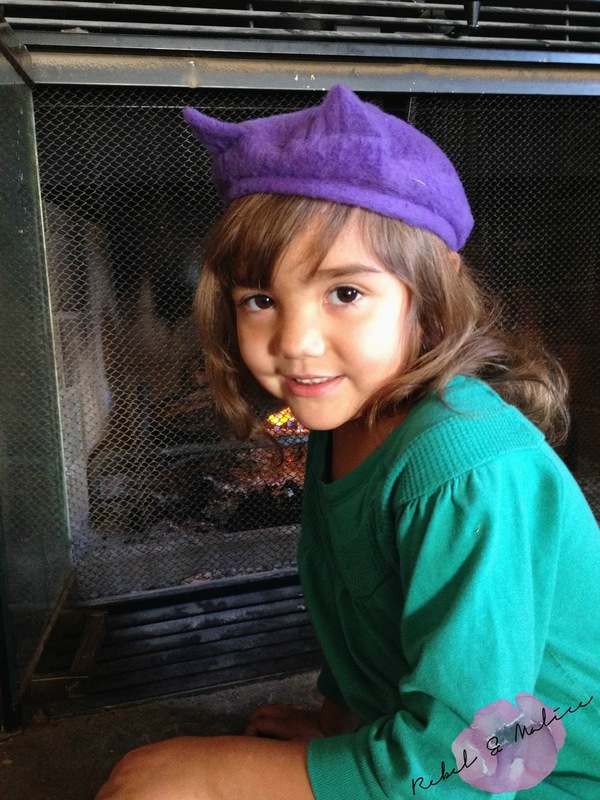 Children look great in animal ears, faces, etc, right… so it only seemed like the next best thing would be to try to add ears to hats other than beanies. 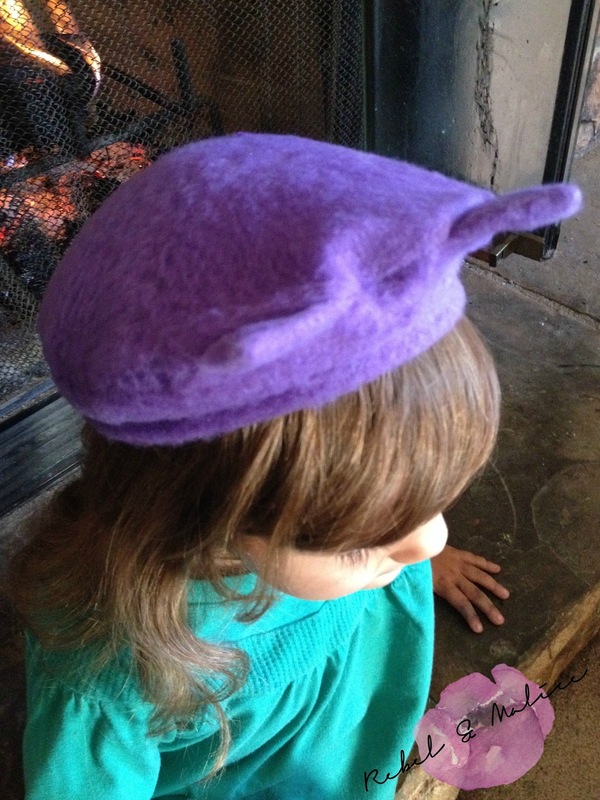 This beret was not a knockout at first. I messed up quite a few times until I finally gave in and realized that I needed two pieces (well really 5 in total) for this hat because a beret must fit but be slightly loose, but not too loose because then it takes it down a completely different road. Once I got the fit of the beret right, the rest was super easy. 1. 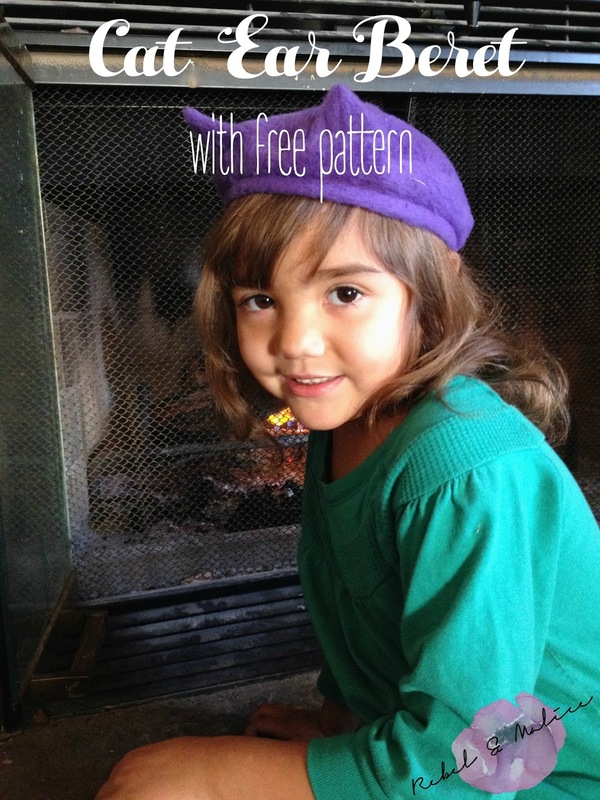 Print your pattern and prewash your fabric. For this hat, I used microfleece. 2. Pin your pattern pieces. Start with your top piece (the quarter circle) first. or print the pattern twice. 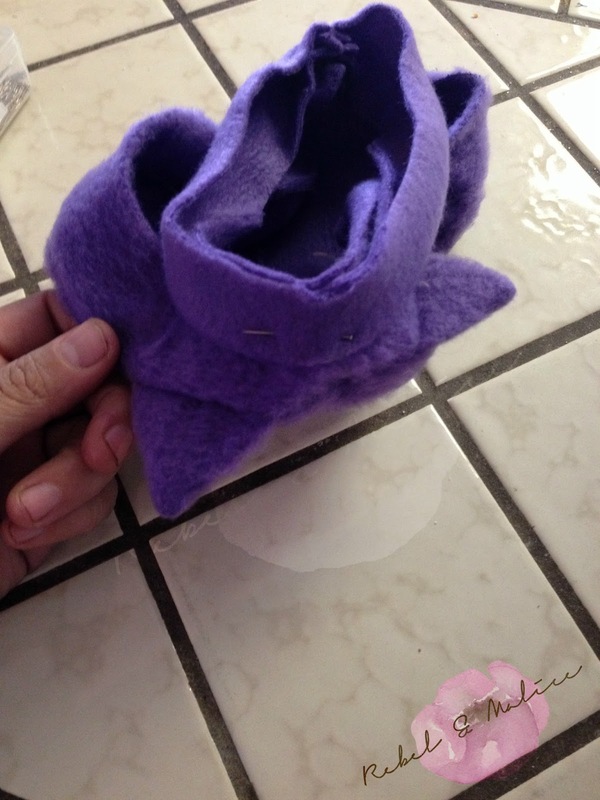 This tutorial has the best visual for how to fold your fabric. HERE Cut the band 2 in tall x 15 in wide. If you prefer a wider band, cut it 4 inches tall instead. You can cut your ears from the circle cut out. 3. 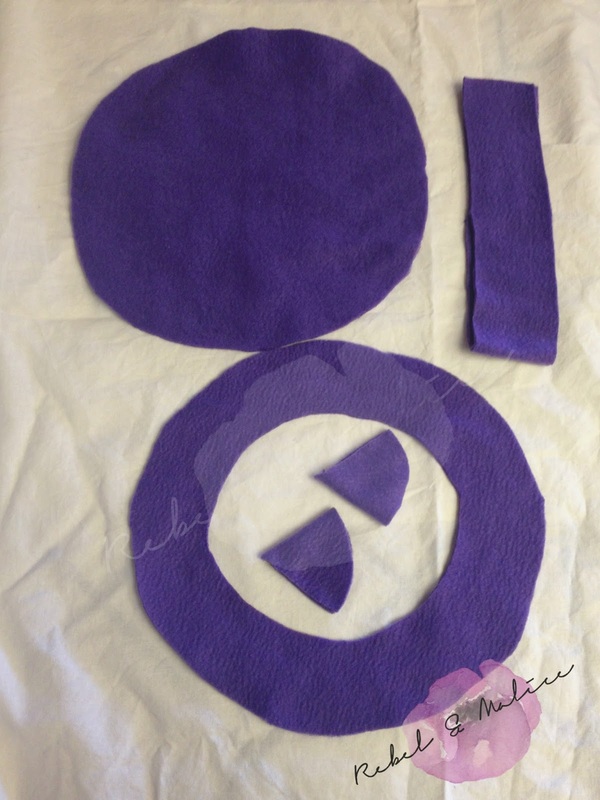 When you are done with cutting out your pattern pieces, you will have the top piece (circle), bottom piece (circle with circle cut out) 2 sets of ears and 1 band. 4. 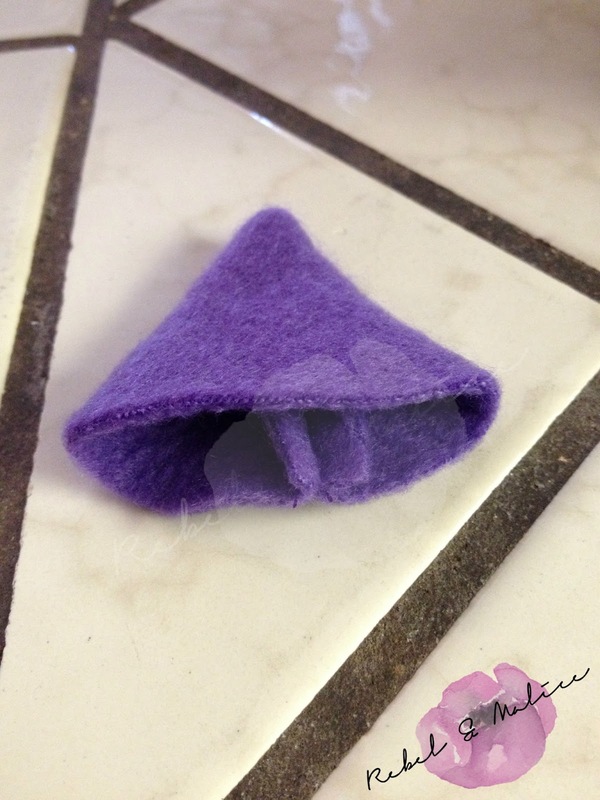 I cut my ears on the fold, but you can cut them to preferred width. 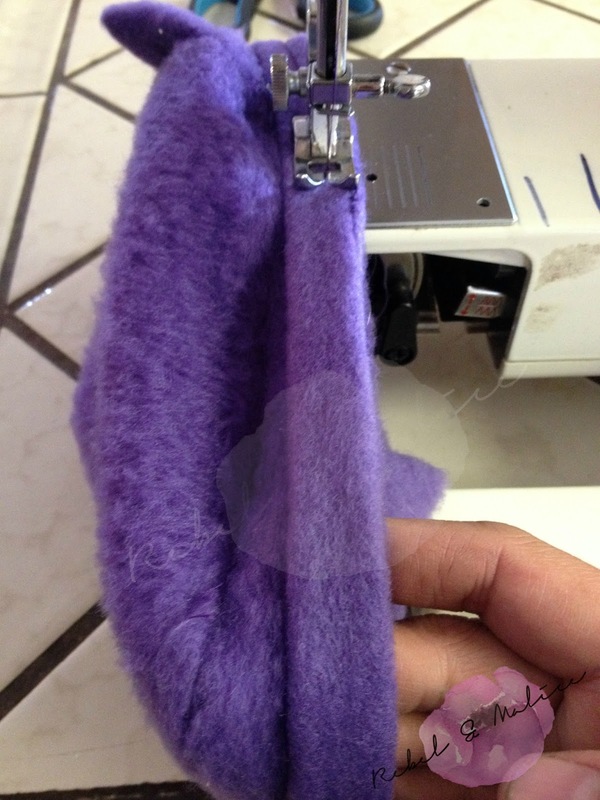 Place right sides together and sew the sides leaving the bottom open. 5. 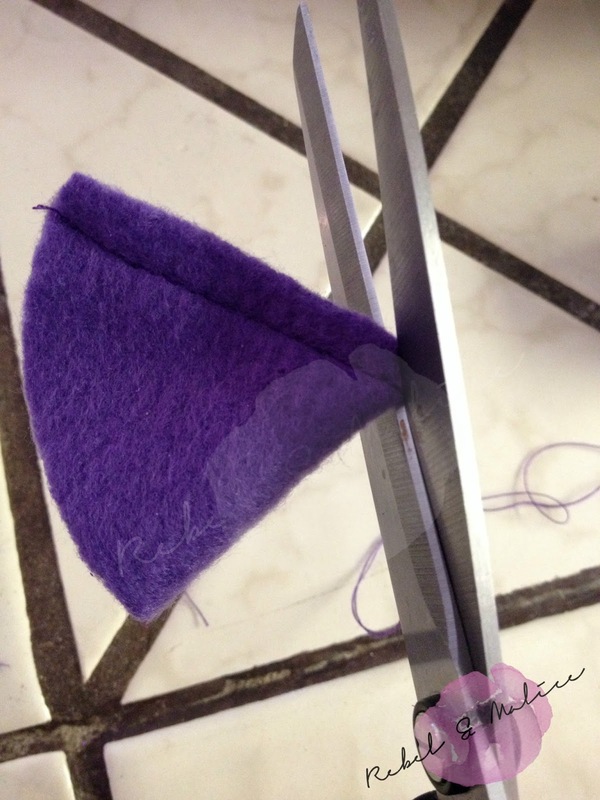 Cut the tip of the ears as close to the stitches without cutting through. 6. Flip ears right side out. Poke the tips straight with a pen or chopstick. 7. 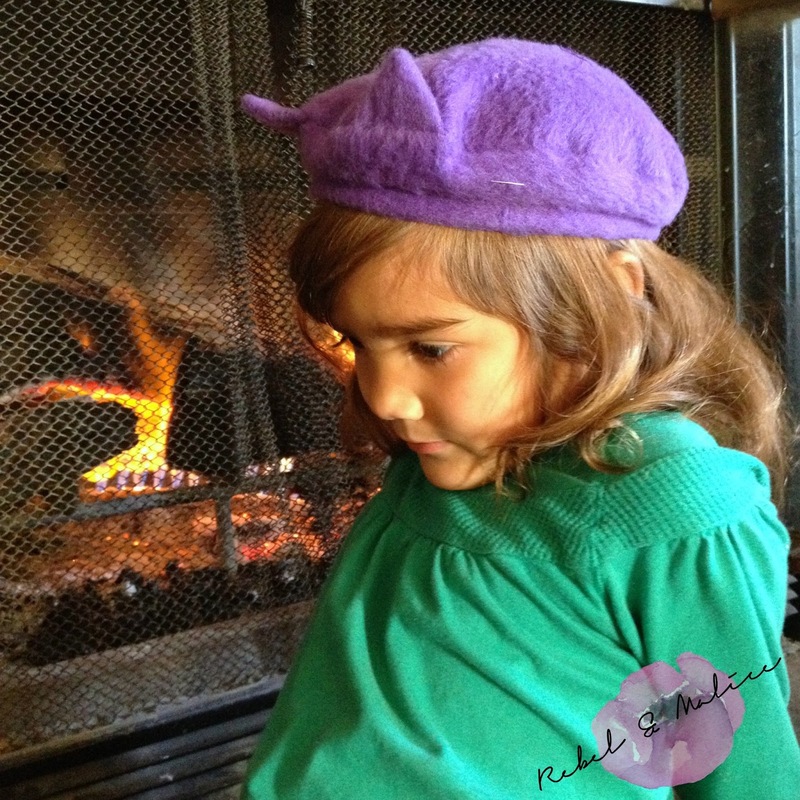 Get top and bottom beret pieces. Place right sides together. 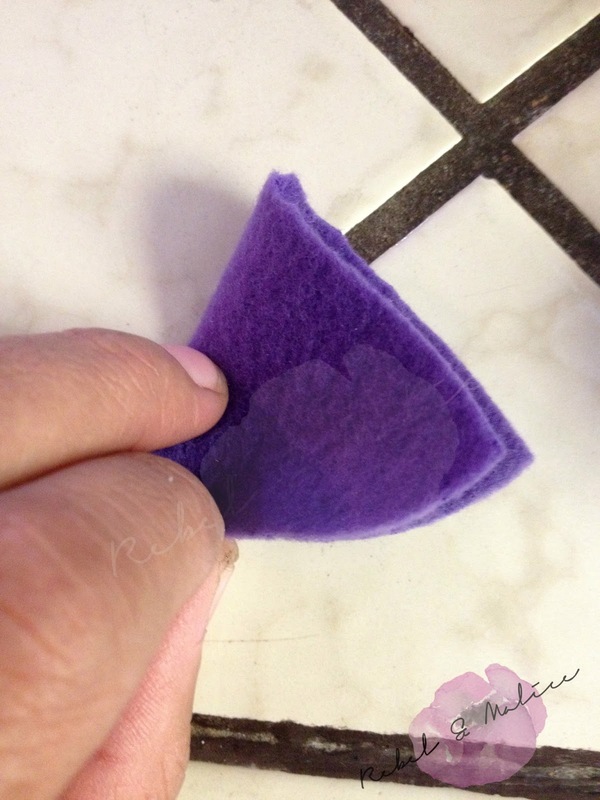 Make a marking of a 2 inch gap to place ears apart. 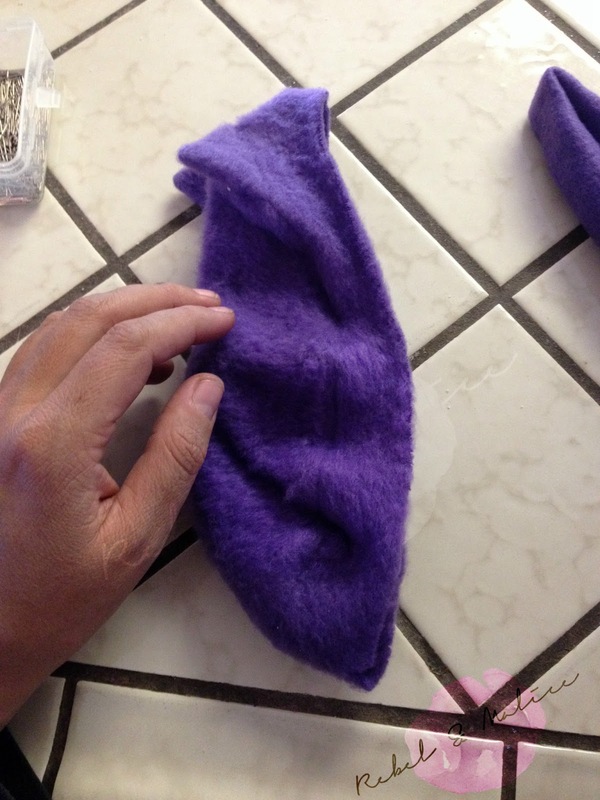 Pin the open end of the ears sandwiched in between the top and bottom beret pieces making sure there is at least a 2 inch gap between the ears. 8. 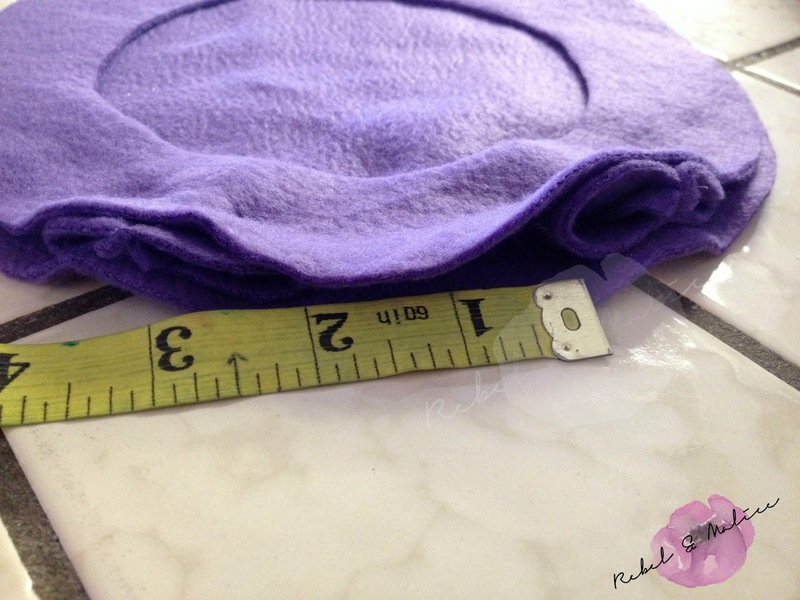 Sew all the way around the edge of the pieces with a 3/8 in seam allowance. 9. 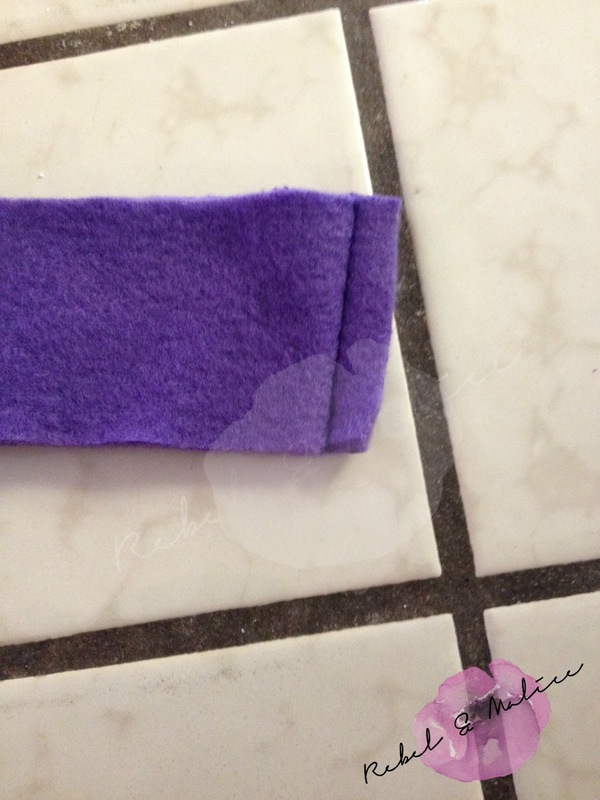 Cut the seam allowance as close to the stitches as you can or use pinking shears so that the shape isn’t lumpy. Flip the hat right side out. 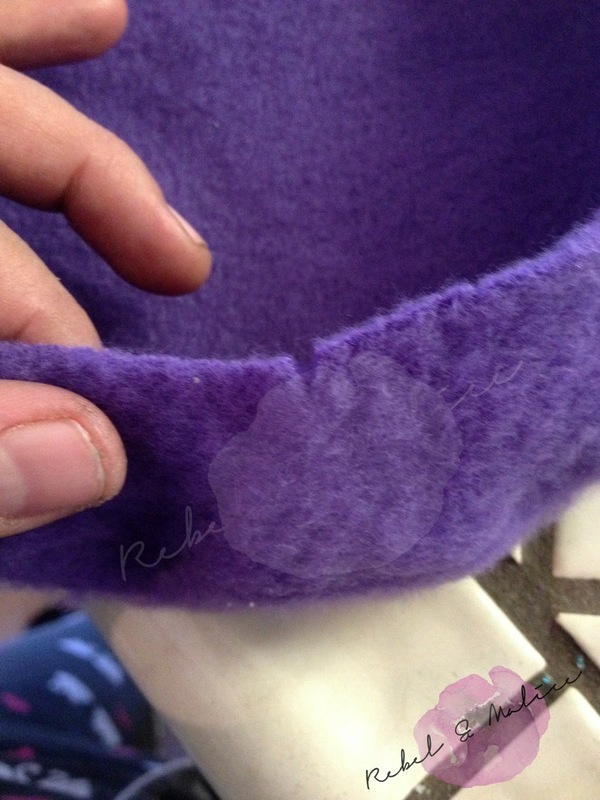 The ears should stand on their own, but if they flop, then tack them up towards the top piece of the hat. 10. Get the band for the hat and sew the short ends together. 11. 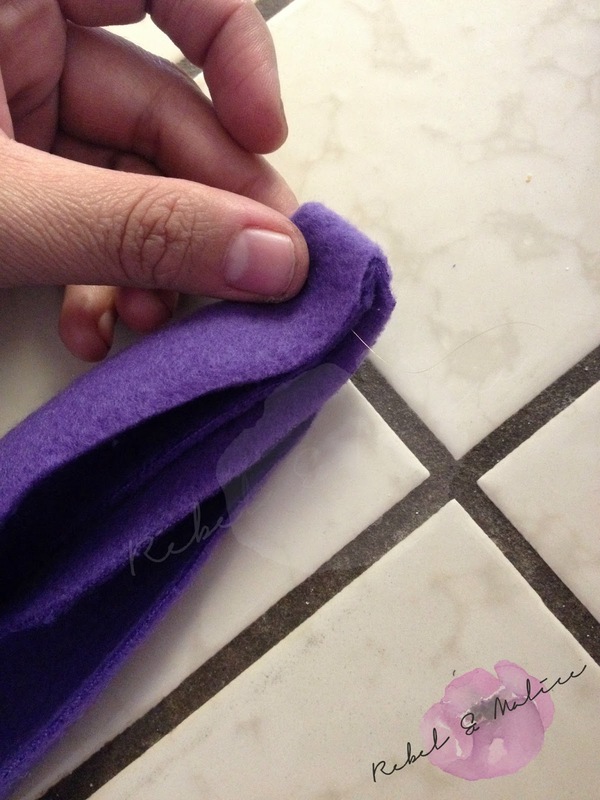 Fold the band in half wrong sides together and cut a notch at the halfway point from the seam of the band. 12. 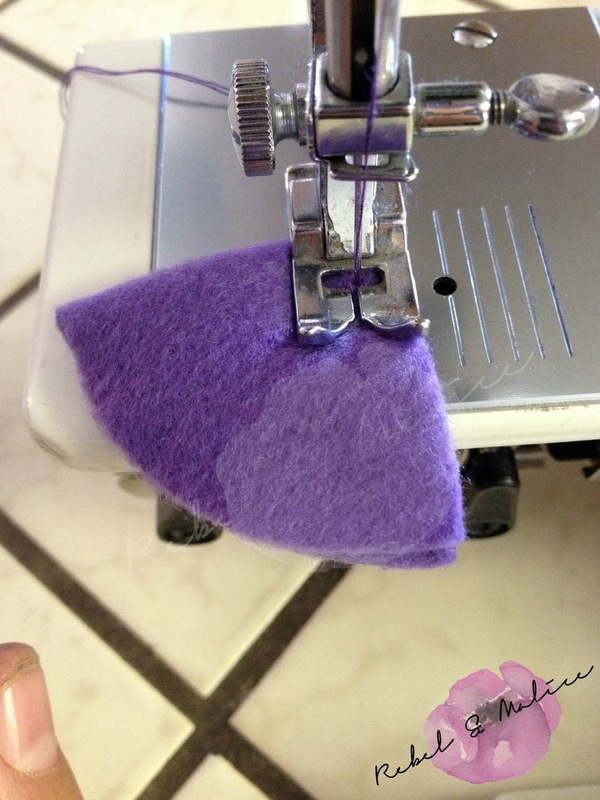 Place the beret in half the same way as the band using the space between the ears as the halfway point and cut notches on those point to match up the band. 13. Match up the notches placing the band on the right side of the hat. 14. 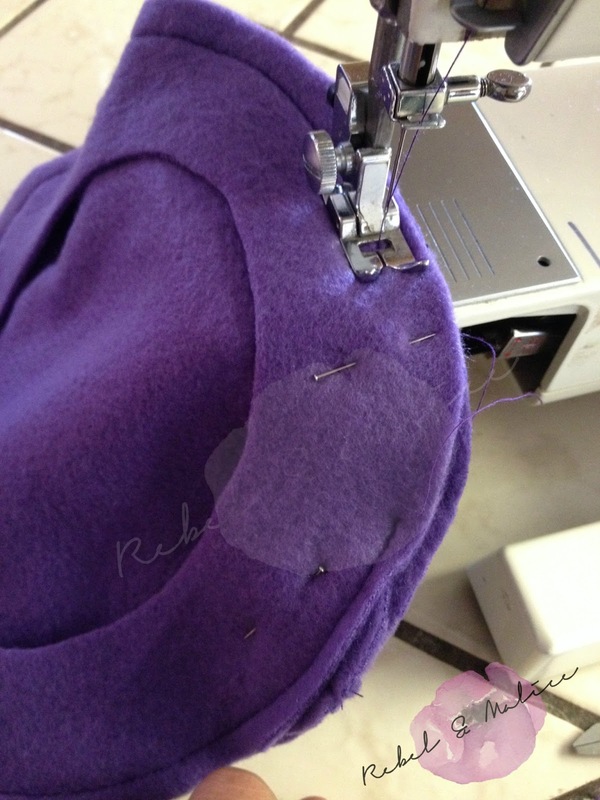 Sew around the band of the hat with a stretch stitch or zig zag stitch stretching slightly as you sew. 15. Press your band down and put on your sweet little cat lover. These pictures show a smaller one because this was the first one that she refused to take off. The pattern you now have is a little bigger. You can also find me on Instagram – Pinterest and Facebook. Thanks for having me Ula! So cute. My daughter would love this! You’ll have to sew one up for her and show Melissa (and me)! Haha. 🙂 I wonder if it would be easy to upsize it?